A new and unique way to send flowers direct from local florists in Italy. The only website where you can select the florist to deliver your flowers and bouquet arrangements. Choose our own local Italian flower shops or florists in Italy and see pictures of their individual flowers and gift arrangements. All the listed flowers and arrangements are available for next day flower delivery to Italy. All our local florists also cater for same day flower delivery to Italy if ordered by 2pm local time. By sending flowers to Italy using Direct2florist, you can see and choose your local florist delivering flowers to Italy. Going direct to the local florists in Italy means bigger, more beautiful bouquets and excellent service via your chosen local Italy flower shops. Fresh flowers and gifts delivered in Italy by our local member flower shops. Order flowers and gift basket arrangements online by 2pm local time and get your flowers delivered same day by the florists you choose in Italy. We have hundreds of local florists in Italy displaying their own gifts and gift baskets. 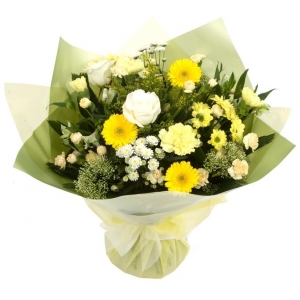 Direct2Florist offers secure and easy way for shoppers to order from independent florist – if you want it, we’re sure they’ve got it!